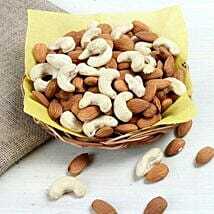 "I was kept informed regularly"
"Good service ..delivered what was shown in pics"
"You are doing good job"
Dry Fruits Online: Health with Taste , just a click away! 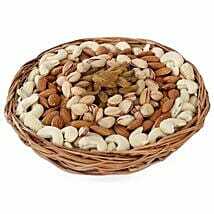 Since ages, gifting dry fruits has been a part of Indian culture and tradition. 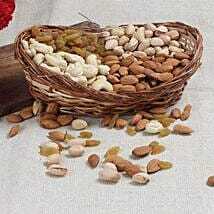 It has been followed since ages when at every occasion people would offer dry fruits to their loved ones. 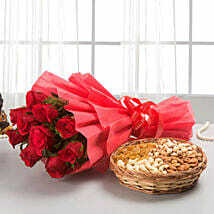 Dry fruits as gifts do not only symbolize love but make a brilliantly thoughtful choice. The goodness of health benefits and taste packed beautifully for every occasion surpasses all gifts. 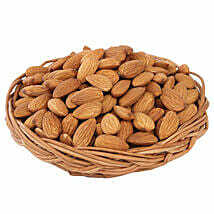 They also are classy and elite as apart from its taste, they are good for health. 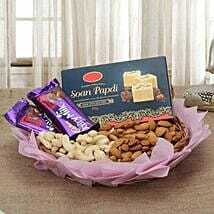 They are considered to be a perfect gift on any occasion, festival or special day. 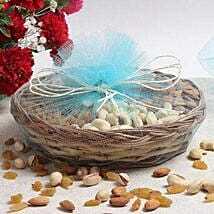 The presentation of any gift item is equally important as the quality and choice of gift. In our busy schedules, dearth of exclusive stores along with packing is a challenge. An easy way out, send online gifts! They not only save our resources, but also provide more choices. 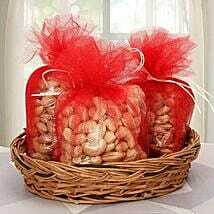 Here we are to help you in celebrating your happy occasions with dry fruits delivery online in just a click to your desired location, in your choice of packaging. 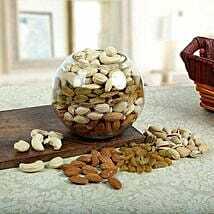 Buy Dry Fruits: Switch to a better choice! 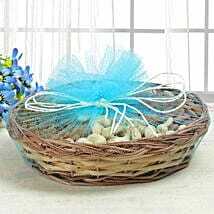 A well packed gift with beautiful flowers completes the entire package of a perfect gift for any occasion. What more than, health, taste and beauty all encompassed in one gift. Every décor can be made more special and appealing for any celebration with flower arrangement added to it. 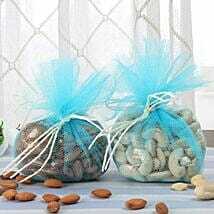 A gift for one self or for our loved ones, which is a fistful of good health, and taste wrapped around in beautiful packing, can bring smiles on the face of your loved ones. Even if you are not around, wish them goodness in a click. 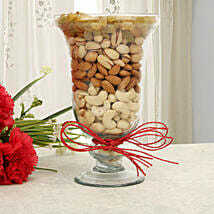 Send dry fruits online on any occasion or may be without an occasion, just a reminder that you care!